FC Schalke 04 are looking to put their difficult start to the season behind them as they go in search of another win at home to 1. FSV Mainz 05 on Sunday (kick-off 17:30CEST/15:30GMT). 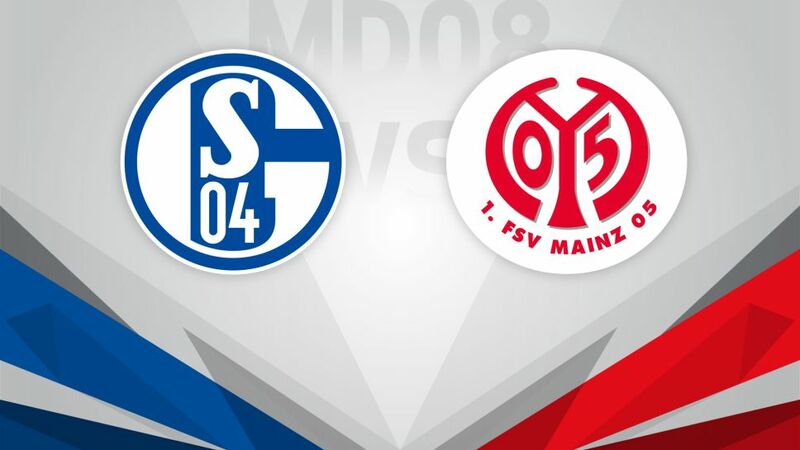 Having picked up four points in two games, Schalke will feel their season is well and truly up and running if they can get the better of Mainz at the VELTINS Arena this weekend. Markus Weinzierl will be relieved to have steadied the ship after a nightmare start to his tenure, but the Royal Blues coach will have to do without up-and-coming forward Breel Embolo for at least the next six months, after he broke his ankle in last week's draw with FC Augsburg. Weinzierl's opposite number, Martin Schmidt, will be quietly satisfied with how Mainz have kicked off their campaign. Last week's win over SV Darmstadt 98 pushed them up to seventh, only six points behind leaders FC Bayern München. With Yunus Malli and Pablo De Blasis both on song, having netted four goals apiece, the 05ers will feel they're more than capable of springing a surprise in Gelsenkirchen, where they have only won a single Bundesliga game in ten visits.